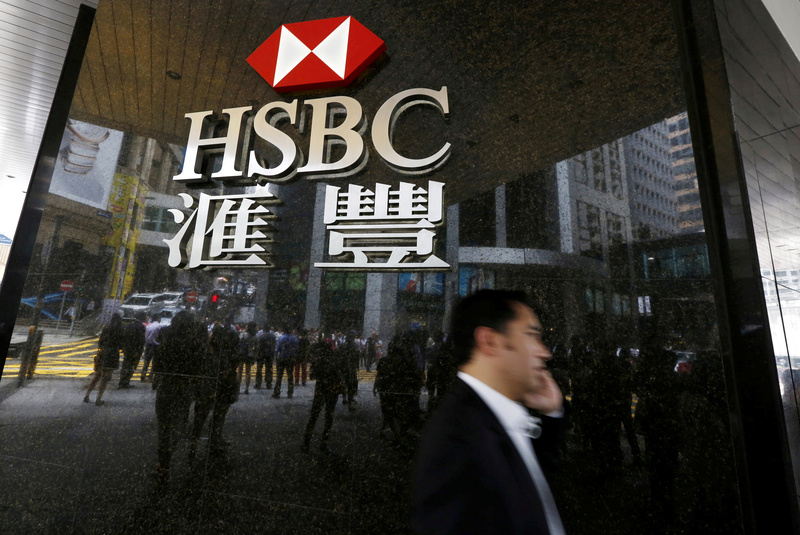 HONG KONG – HSBC Holdings PLC <HSBA.L> is set to be the first company to issue Chinese Depositary Receipts (CDRs), through a link between the London and Shanghai stock exchanges which will begin by year end, people familiar with the matter told Reuters on Thursday. China finalised rules earlier this year for its CDRs, which mainly allow Chinese tech companies listed overseas to also list at home. It announced a series of CDR rules for London-listed firms under the planned Shanghai-London Stock Connect last week. HSBC has tasked its investment banking joint venture in China as well as CITIC Securities Co Ltd <600030.SS> to work on the issuance, said two of the people. The size and time frame are still under discussion and an initial plan will be announced by year-end, said one of the people, who declined to be identified as the information was not public. “We are studying the proposed framework for the listing of Chinese Depositary Receipts under the Shanghai-London Stock Connect but cannot comment further at this time,” said a HSBC spokesman. CITIC Securities did not respond to a request for comment. Under the stock connect, firms listed in Shanghai will be able to sell Global Depositary Receipts (GDRs) to investors in London, and those listed in London will be able to issue CDRs to investors in Shanghai. Brokerage Huatai Securities Co Ltd <601688.SS> last month became the first Chinese firm to announce the sale of GDRs in London, with plans to raise at least $500 million. However, while Chinese firms will be able to raise fresh funds by issuing GDRs, London-listed firms initially will only be able to sell CDRs based on existing shares. “London-listed firms however can broaden their investor base, enlarge regional market impact and raise their profile in the world’s second-largest economy via the CDR offerings,” one of the people said. It is not the first time HSBC has tried to list in Shanghai. In 2011, the bank cited unfavourable market conditions when shelving plans to list on a proposed Shanghai international board – which never came to fruition. Other firms expressing interest at that time included Unilever PLC <ULVR.L> and Standard Chartered PLC <STAN.L>. “Standard Chartered is also studying the possibility of a mainland Chinese listing,” a person familiar with the matter said. The bank issued depositary receipts in India in 2010, but they attracted dwindling interest and are now largely dormant. The stock connect is China’s latest move in opening up its capital markets, following similar schemes between bourses in China and Hong Kong. Talks with London began in 2015 but slowed after Britain voted to leave the European Union. While the stock connects are generally regarded a success, its CDRs have had a slower start. CDRs were originally aimed at bringing back overseas-listed tech giants, but one of the first set to sell CDRs – smartphone maker Xiaomi Corp <1810.HK> – postponed any issuance.